Just in time for the onslaught of fall bounty, we scoured Portland’s neighboring orchards for the ultimate u-pick destinations. Most can be found in Mount Hood’s Fruit Loop, the bounty of orchards, vineyards, and berry farms that reaches south of Hood River. Looking for something closer to home? 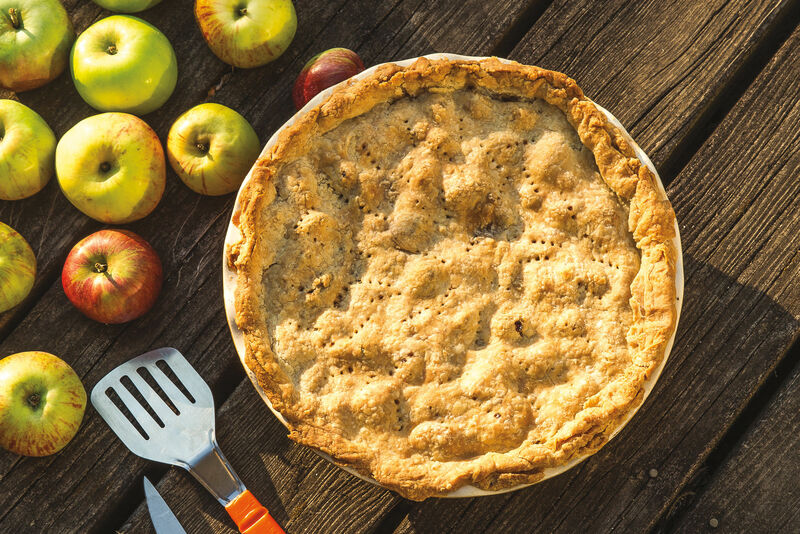 We’ve included a few options under an hour away from downtown Portland so you can make your apple run and still have time to bake that award-winning heirloom pie. Mt. View is built for kids, with a play area, hay rides, and pumpkin patches—without becoming a full-on circus. As far as apple varieties go, you’ll find many of the usual suspects (Honeycrisp, Gala, Fuji, McIntosh) as well as some heirlooms, like Cox Orange Pippens, Gravenstein, and Ashmead Kernel. It can be a little difficult to find specific varieties, but staff is helpful, and a well-stocked farm stand ensures that you get exactly what you came for. Fair warning: Draper Girls Country Farm is the busiest on this list—a testament to how lovely the farm is. It’s open seven days a week, so arrive on a weekday or take advantage of its after-hours “honor system” u-pick. 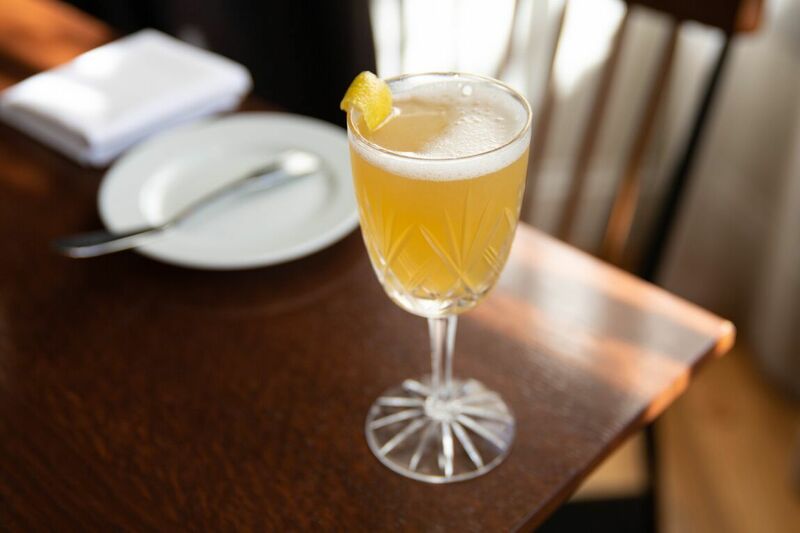 The farm is the only one in Hood River making unpasteurized apple cider (some of the best in the region), so many of the heirloom varieties are reserved for the juicer. You’ll still find Honeycrisp, Elstar, and Tokyo Rose amongst the u-pick trees and farm stand bins. 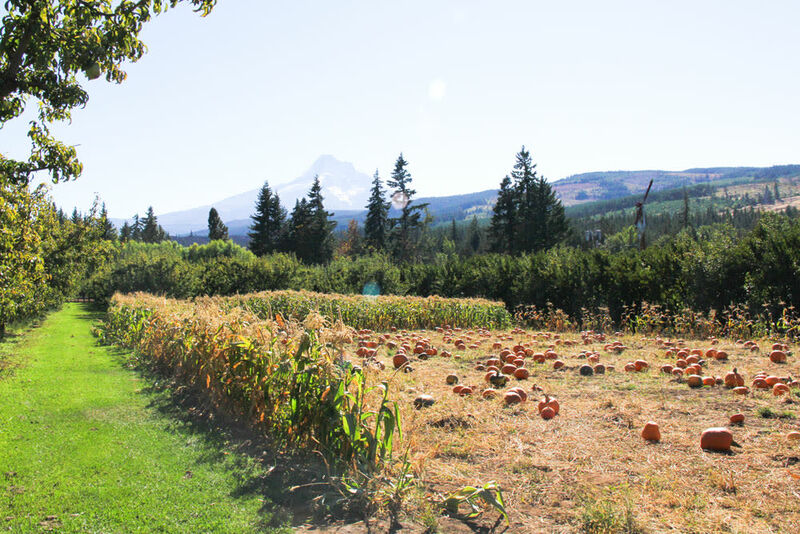 With 360-degree views of Hood, Adams and Rainier, Kiyokawa Family Farm is worth visiting for the scenery alone. The family-run business is a tight operation, with maps and well-informed staff to help you find the right tree. That’s important, since Kiyokawa has the most varieties for u-pick in Hood River, with hard-to-find Winter Banana, Manchurian Crab Apples, and Ruby Jon. Keep an eye out for events at Kiyokawa Orchards, which run the gamut from mariachi bands and Mexican food trucks to festivals and farm dinners. Located in the Molalla Farm Loop, Marquam Meadows is a picturesque little non-commercial orchard with 500 trees. All the trees here are espaliered (the branches have been spread out on wires), so the nice mix of heirloom and modern apples are always within arm’s reach. This is also one of the few apple orchards that permits dogs (on leashes). 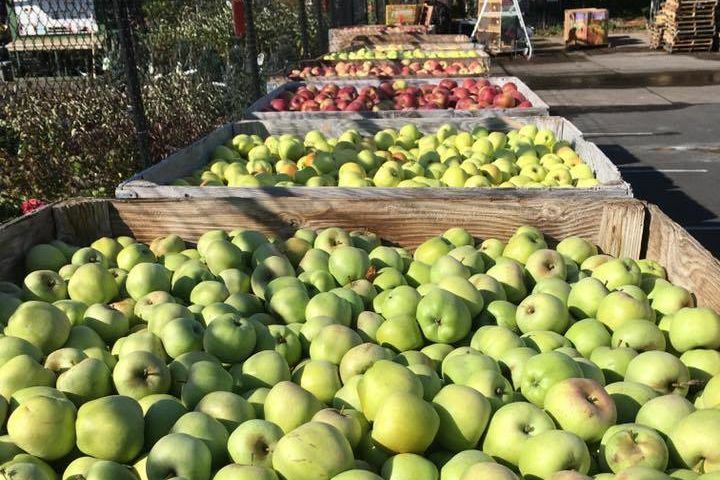 This Tualatin Valley orchard has existed since the 1860’s and is a designated u-pick-only orchard offering a whopping 80 varieties. If you can’t find something, Charles Poindexter, the farm’s owner, is on-hand for direction. Apple hunters, this is the place to cross off your bucket list varietals: Adam’s Pearmain, Tydeman’s Red, and Wolf River are just some of the rare apples growing here.